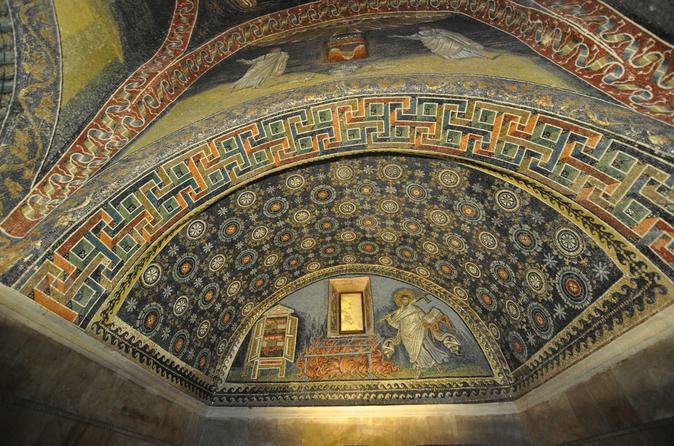 Join this half day walking tour of Ravenna (2.30 hours). The monuments that normally fit into half a day are: Basilica of San Vitale, Mausoleum of Galla Placidia, Piazza del Popolo, St. Francis' crypt, the tomb of Dante Alighieri, Basilica of Sant'Appollinare Nuovo. Entrance fees included in the tour cost. 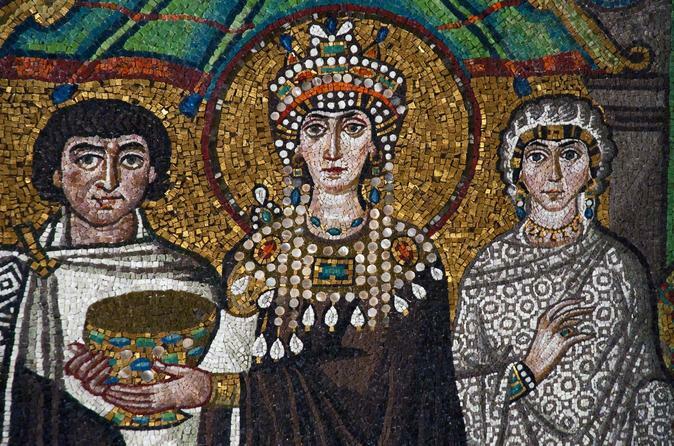 See the best of Ravenna in a full-day guided walking tour led by a friendly professional local guide. 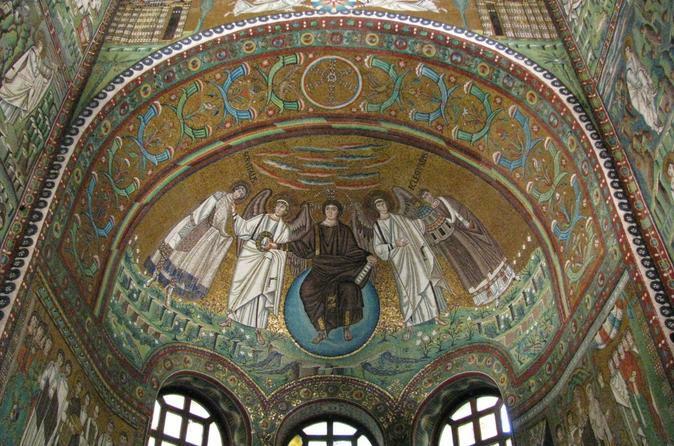 Ravenna is like no other place in Italy, its Early Christian and Byzantine mosaics are a wonder of the world and their magnificence will leave you breathless. Ravenna is the right place if you wish to experience amazing historical heritage sites and great food. This private, full day tour will start from Ravenna with visits to the old town where monuments like the Basilica of San Vitale, the Mausoleum of Galla Placidia, the Piazza del Popolo, St Francis' Crypt, the tomb of Dante Alighieri and the Basilica of Sant'Apollinare Nuovo can be enjoyed. In the afternoon the tour will move to Ferrara and include the exterior of the imposing Castello Estense, the majestic Romanesque cathedral and the streets of the medieval and renaissance historical city center. 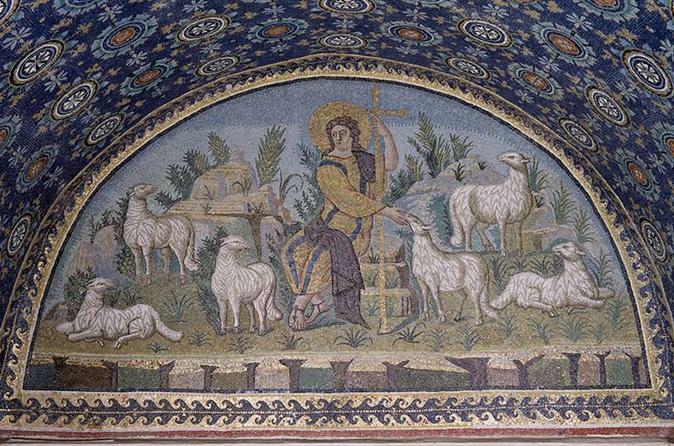 Visit Ravenna's mosaics (Ravenna is a UNESCO site), and then proceed to the part of the tour especially designed for cookery lovers, making home-made pasta and piadina, the DOP local bread.